One to one individual tuition and small group workshops. Learn from a professional photographer at your own pace. Beginners, intermediate or advanced photographers are all welcome. 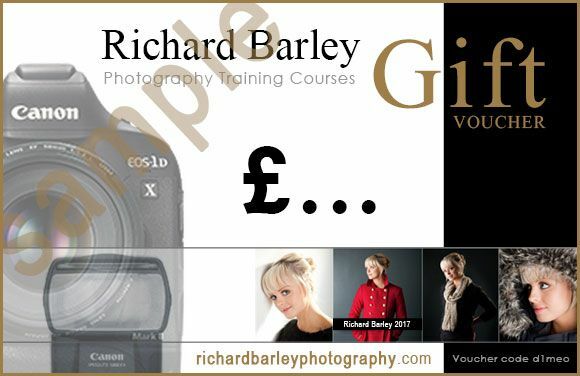 Small group photography courses and one to one individual tuition for beginners, intermediate and advanced photographers. I have over twenty years experience as a professional photographer, and can now offer you the opportunity to improve your photography and gain confidence with your camera. If you are struggling with your camera settings and not returning home with the photographs you would like I can help. If you need more information about any of the courses please use the contact form or tel. 07941581330. "Just wanted to say thanks very much for yesterday. We both learnt a lot and really enjoyed it. looking forward to practicing now"
A DSLR (digital single lens reflex camera) has become the standard camera for many photographers.. Professional photographers and advanced amateur photographers buy DSLR cameras because of the range of lenses available and the excellent high-quality results they provide. Our range of digital photography courses range from the Beginners Digital Photography Course through to the Advanced Adobe Lightroom Course. The courses are very relaxed, I will help you understand all aspects of photography including shutter speeds, apertures and ISO and help you master your digital cameras settings. If you need one to one tuition or would like to bring a friend or family member along I can arrange an individual course for you. I work in Malvern, Worcester, Droitwich and Pershore. If you would like to arrange a venue I am always happy to travel further. Which camera should I buy? There are so many to choose from. If you are about to buy a new digital camera I would think about the main camera brands first, and which camera manufacturers have been established for a long period of time manufacturing analogue film and digital cameras. Canon, Nikon, Pentax and Olympus have a long history of manufacturing traditional film SLR and digital cameras including point and shoot and professional DSLR's. I use Canon equipment as the range of lenses is vast, the quality of images they produce is excellent, and the ease of use is second to none. I now offer the Canon photography course if you are a Canon user. Nikon DSLR cameras are also excellent and Pentax and Sony are getting better as they embrace the professional world. I have all my equipment available if you would like to try it before you make a decision. If you would like to buy any equipment please try the links on my equipment page. I can also visit your local camera shop with you to give you advice before buying your used cameras and lenses. Why do I need to come on a digital photography course? I think that attending a photography training course for digital cameras is very important, if you would like to get the best results from your new digital camera without having to spend hours reading books and magazines. When we used film all the technology was built into the film, this made it easier to learn photography (in my opinion). Your digital camera will have a number of different modes that may be confusing you. I believe in learning about the basics first.mastering shutter speeds, apertures, ISO then moving onto white balance and the histogram. I have mainly focused on providing one to one tuition over the past eight years, as I think that you need to get a good understanding of the basics without distraction. If you would like to enquire about a one to one session please send me three dates you have available using the booking form below. For more information please complete and submit the form below.